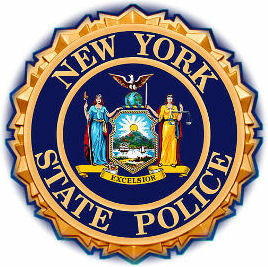 New York State Police Trooper Joseph Menna was hit by a car Saturday night. Trooper Menna stopped a Chevrolet Suburban for a traffic violation. While approaching the offending vehicle, chaos erupted behind him. The driver of a Chevrolet Cobalt braked suddenly, lost control and struck a Honda Odyssey. At the same moment the driver of a Buick was attempting to merge into the lane of the Cobalt and hit the car, pushing it into the parked Suburban. The trooper was then struck by the Suburban, knocking him over the guardrail where he fell down the embankment. Trooper Menna was taken to the hospital with minor injuries and was released, declining medical attention. 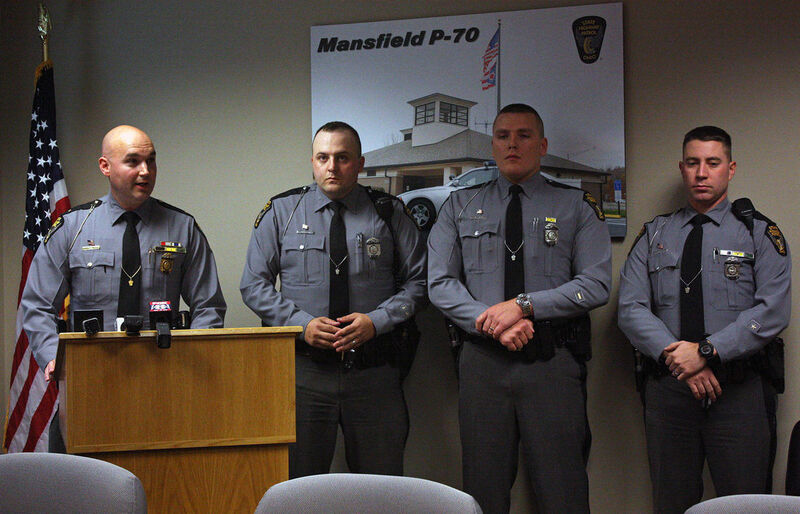 Three Ohio State Highway Patrol Troopers were honored Wednesday for saving the lives of Two Citizens. Trooper Matthew Stoffer received a certificate of recognition for his lifesaving efforts. Stoffer was responding to a call of an erratic driver. When the man pulled over, he yelled for help. His 1-year-old daughter wasn't breathing. “As he picked up the lifeless baby from the child seat and placed it on the front seat, he swept the baby’s mouth thinking possibly the baby was choking and started chest compressions,” said Mansfield post Commander Lt. Matt Them. “At that point the baby began to breathe on its own, which it was not previously. The parents advised the baby was sick and became unresponsive and they were trying to get to the hospital.” After the baby began to breathe, the ambulance came and the girl was flown to Nationwide Children's Hospital in Columbus. Trooper Stoffer hopes to see her again one day. 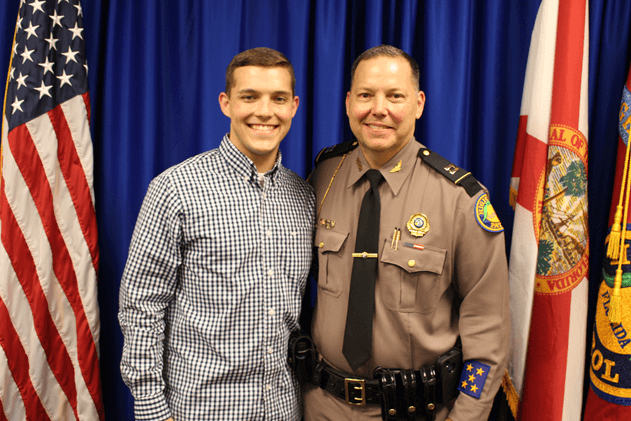 Troopers Steve Gillum and Drew Nelson were honored with a Governor's Resolution. Troopers Nelson and Gillum were on patrol Sept. 3, when they were called to assist the Mansfield Police Department on an attempted suicide call, Lt. Matt Them said. A woman called police saying a man was threatening on social media to hang himself and that he would be at his grandmother's house. When Nelson and Gillum knocked on the elderly woman’s door, she said she was the only person home. A quick search found that to be true, Them said. But before leaving, Nelson and Gillum asked to search a detached garage. There were no windows, Gillum said. They needed to be sure the man was not harming himself elsewhere on the property. The woman said her grandson wouldn’t be there, but agreed to let them check. When the troopers stepped inside, they found the man hanging from the rafters, a rope around his neck. They immediately lifted the man and cut the rope. He regained consciousness shortly after. District Capt. David Church from Bucyrus commended the troopers on a job well done. 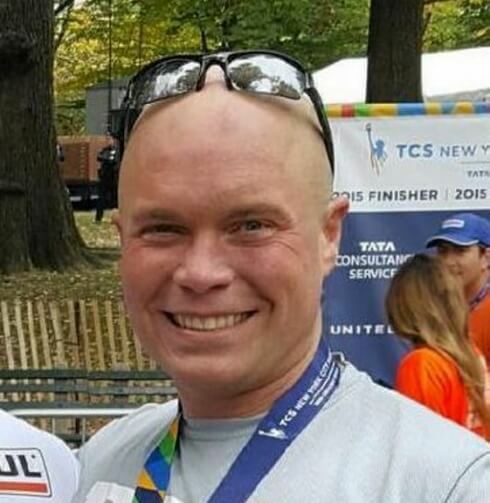 A Pennsylvania State Police trooper who was critically injured during an ambush at a police barracks last year completed the New York City Marathon last weekend in the hand cycle category. In an interview done May 2015, Tpr. Douglass stated the marathon was his goal. Trooper Alex Douglass of Dunmore placed 47th in the 26-mile race Sunday using a three-wheeled cycle that's powered by hand. He completed the race in two hours and 33 minutes. Douglass underwent a full hip replacement and has had difficulties walking since the shooting on Sept. 12, 2014. He had numerous surgeries before the replacement. WANTED! Runners for Trooper Dees! 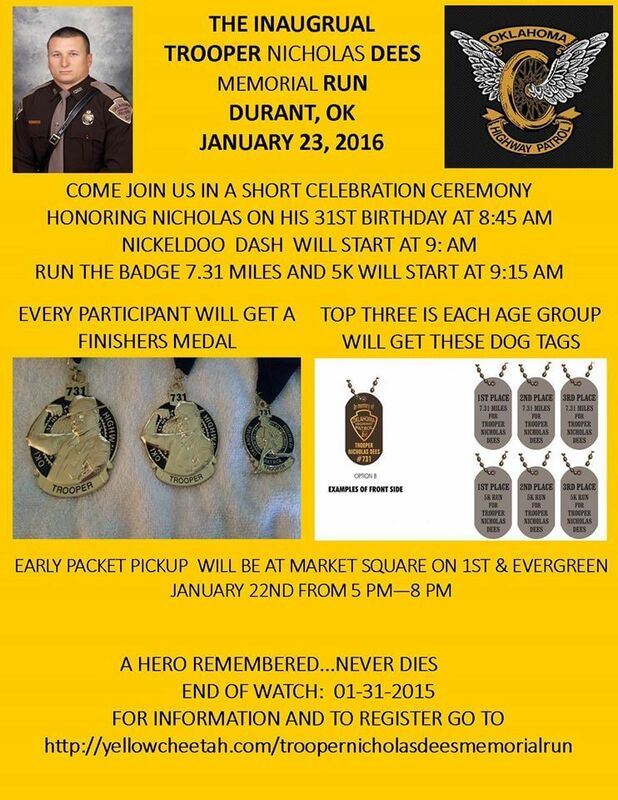 On Jan. 23 run 7.31 miles to honor Trooper Nicholas Dees. The Trooper Nicholas Dees Memorial Run is to bring awareness to Don't Text and Drive. Trooper Dees was killed while working an accident on I-40 by a man who was Texting and Driving which was not a law at the time. Nicholas paid the ultimate sacrifice for the State of Oklahoma and because of his death Oklahoma now has a Don't Text and Drive Law. All proceeds will be going to children of Law Enforcement officers who are pursuing a degree in Criminal Justice. The Chahta Foundation will collect all proceeds, and the Choctaw Nation will match donations dollar for dollar. 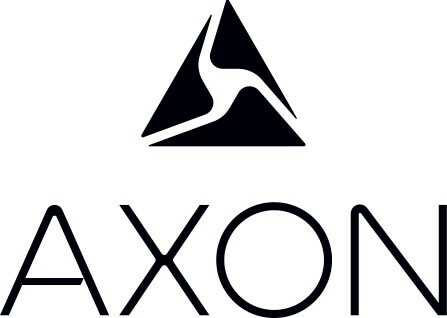 Click here for registration details. If you cannot be at the run, but still wish to join, register for the virtual run click here for details. Two Parents made a quick dash to the store for makeup to complete their children’s Halloween costumes, but did not come back home. 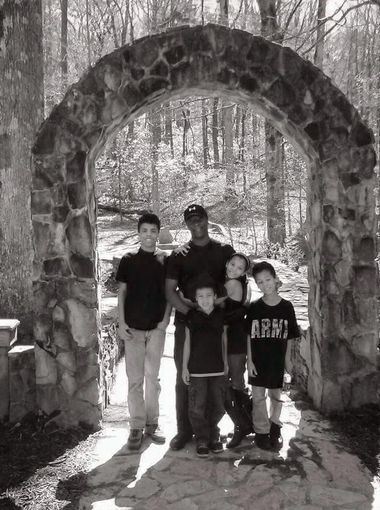 Donald and Crystal Howard died in a horrible car crash and left behind their four children. Thankfully, the children had a “Guardian Trooper” for the night. 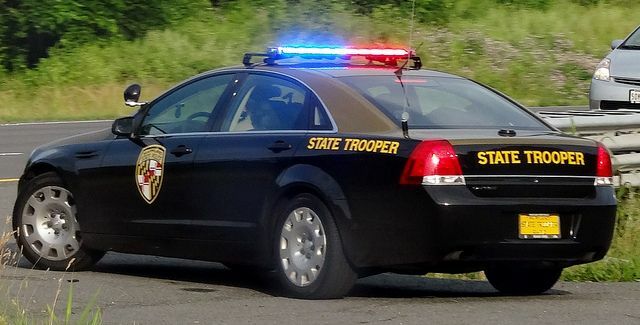 This past Halloween (Oct. 31, 2015,), I overheard an operator going over the details of a wreck with a trooper that was a couple of counties away. "Single vehicle wreck with possible fatalities" she regrettably informed. After a drive that would feel like an eternity, I could see a display of blue, red and amber lights in the distance. I exited my patrol car and felt the stillness in the air - the emergency personnel weren't scurrying and a crowd of witnesses were covering their mouths off to the side. I approached the horrific scene to validate what I had already suspected. They had matching addresses, which was less than a mile away. A county deputy, the deputy coroner and I made our way to the house that was backed into the woods. You could hear dogs barking behind the wooden door as we knocked with desperation. The door hesitantly opened and there behind the locked screen door stood four children in full costume - a 13-year-old Freddy Krueger, 10-year-old daughter of a Dracula, 8-year-old wizard and a 6-year-old that appeared to be a firefighting ninja turtle. We were lost with words. The deputy then asked the eldest boy if anybody was home, hoping for a 'Yes' but the boy would unknowingly disappoint us. "My parents went to the store to get more face paint. They told us not to open the door for anybody, but they should be back soon." We were able to reach the children’s paternal grandmother. She informed me that she lived in south Florida, but would be on her way. I ran over to the children and asked if any of them would like to go eat with me. Again, they mentioned their parents would be arriving soon. It was important to me that I would not lie to them. I acknowledge their statement and threw out that their grandmother would be meeting with us later that evening. They piled into the unit and buckled up. I activated the emergency equipment in a poor attempt to occupy their minds. The eldest son told me that he thought my campaign cover and two trooper ball caps were cool. I thanked him for his compliment and told him he could wear them, if he chooses. When I asked where they liked to eat, I was bombarded with four separate suggestions. I was amazed at the maturity level of the "children." I asked how they get to be so smart. They gave credit to their parents, whom homeschooled each of them. The eldest stated his mother was the teacher, but his father was the principal. We both chuckled. Their Grandmother arrived just before dawn. We discussed the mechanics of the crash, her role as their guardian and options available when it comes to funeral arrangements. We both agreed that it would be best for the children to finish sleeping and to be told of their parent's fate the next day. We hoped that they would then relate the tragedy to Nov. 1, rather than Halloween. After the children woke up, we walked them to the truck so that they could head home. The 13-year-old would remind us of the task ahead by saying "Hopefully mom and dad will be home by now." I wanted to remain in these children lives, so I took one of my trooper ball caps and on the bill, I wrote a note telling the eldest to never change. I also wrote down my number so that he could contact me if he needed support. I was contacted by the 13-year-old this morning; I was glad he felt comfortable reaching out to me. He told me that it is going to cost his grandparents $7,000 to transport his parents to Florida and the remaining funeral costs. This is important to me because I have bonded so closely with this family. We weighed out other options and I strongly disagree with the parents being left in Georgia, while the family remains in Florida. These children must be able to visit their parents' graves during their adolescent years and well into their adult years. As of now the GoFundMe Page has exceeded it's goal of $7,000 (click here for more). A California Highway Patrol Officer made a traffic stop and had to return fire after one of the vehicle’s occupants began shooting at him. Eureka Police Chief Andrew Mills stated that after the officer made the stop a man got out of the car and began firing a handgun, striking the officer in the leg. The officer returned fire and fatally wounded the suspect. The CHP officer held the other three passengers of the vehicle at gunpoint until backup officers arrived. He was then taken to the hospital and is expected to make a full recovery. 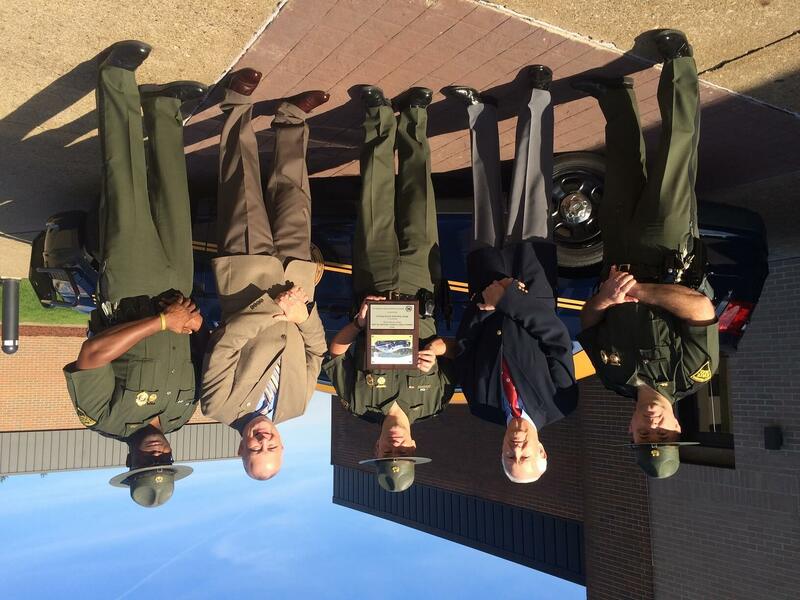 American Association of State Trooper’s Virginia State Director Jim Clare, Jr. (retired) and First Vice President Jeff Lane presented West Virginia State Police with the award of National Best Looking Cruiser Thursday, Oct. 29, 2015. The ceremony took place at the State Police’s Academy and there to receive the award were Captain Michael Corsaro, Major Bill Scott and Captain Reggie Patterson, all of West Virginia’s State Police. The national 2015 Best-Looking Cruiser Contest winners are decided by followers of AAST’s Facebook page. Out of 48 submissions from different state agencies, West Virginia won this year’s title with Ohio (last year’s winner) not far behind. 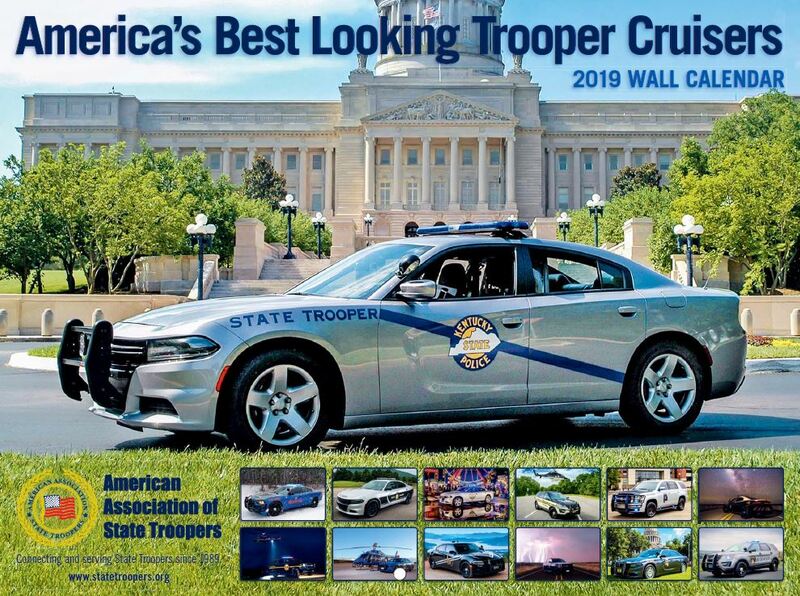 The top 13 cruisers are featured in a 2016 wall calendar. “It really means a lot to us,” said Lt. Michael Baylous. “This is just a simple contest. 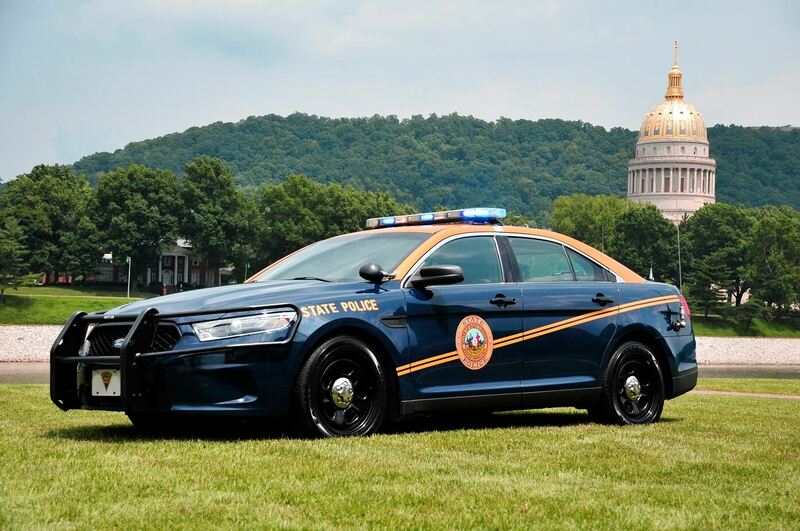 We have a population of about 1.7 million and although many states have larger populations, the pride in West Virginia shows.” Lt. Baylous stated that it felt good to know that West Virginians supports their troopers. Behind that “beautiful blue and gold color scheme," is a Ford Interceptor with a twin turbo charged engine,” Baylous said. 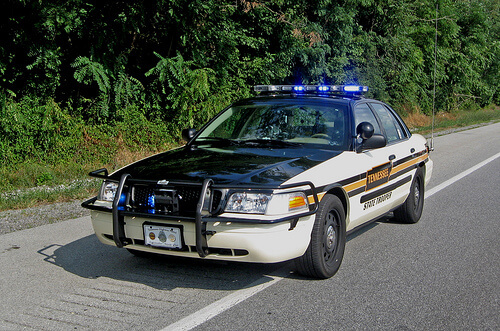 Lane stated that while the cruiser is unique, it also adds to a state trooper’s identity. Vermont State Police granted a young boy his wish in a big way. Bennett Stenger’s one wish, when asked by Make-A-Wish Foundation, was to ride along with a Vermont State Police Officer. Bennett has rhabdomyosarcoma (RMS), a type of cancer that develops in the body’s soft tissues and can spread affecting other areas of the body. When VSP commanders learned of the boy’s wish, they did so much more than just a ride along. 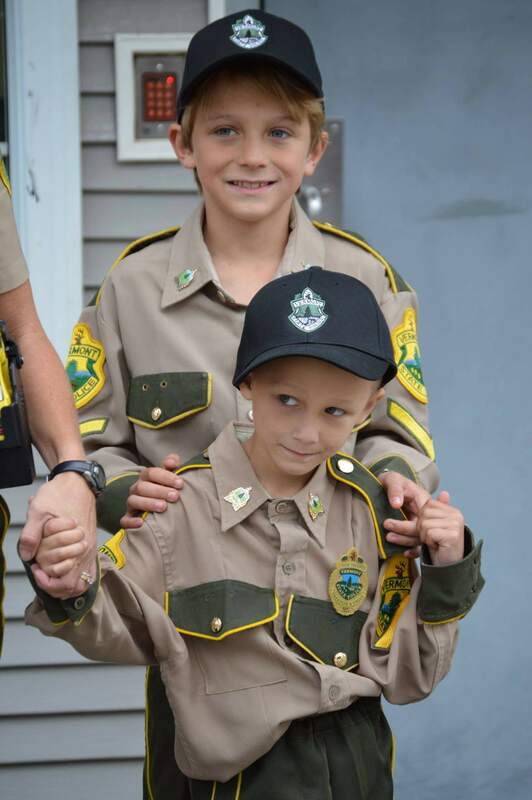 He and his brother, Chase, were made honorary troopers for an entire day. They received uniforms and rode in a cruiser, but it didn’t end there. The boys also got to see the bomb squad in motion when they blew up pumpkins as a demo and got to control the bomb squad robots. The Tactical Services Unit was a part of the special day as well. They got to see a deployment. The troopers said they were thrilled to give Bennett, along with his family, a special day away from cancer and hopes he can bust cancer for good. K-9 Xander of the Vermont State Police was busted! But, it was in a good way. He decided to extend his expertise to dispatching. 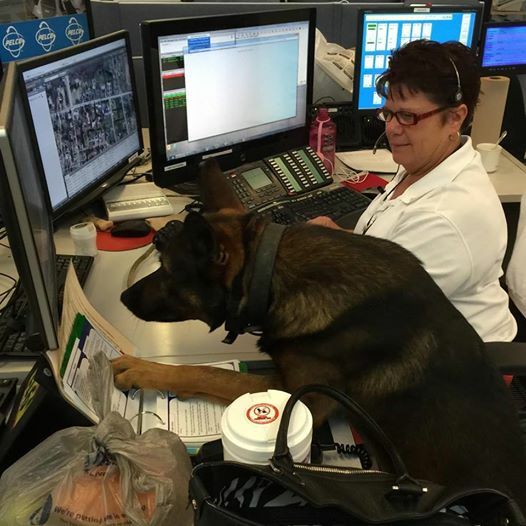 We think Xander would make a great dispatcher if only he could speak as a human, not just as a dog. Sorry Xander! But, you are positively applauded for your efforts. To see more captions, visit Vermont State Police Facebook Page. Pre-Order the 2016 Best Looking Cruiser Calendar for your favorite people now! 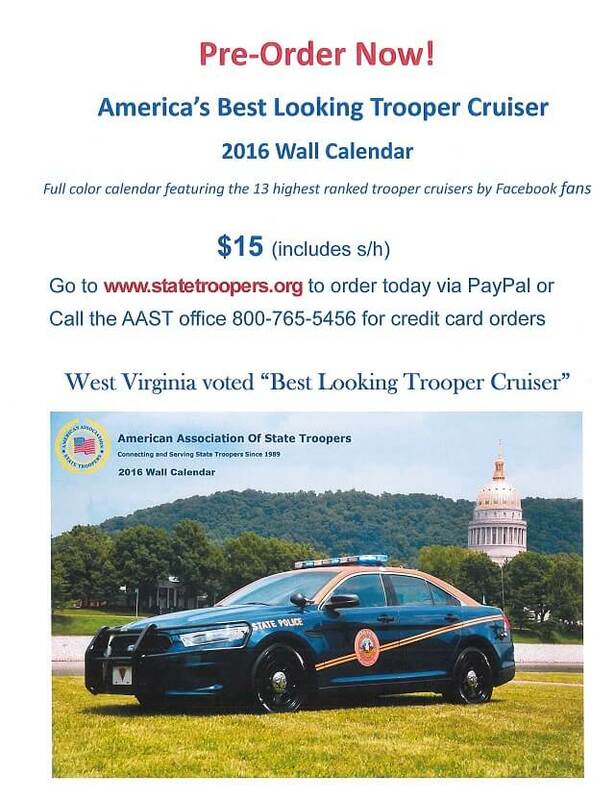 The calendar makes a great gift for the trooper in your life. As a state trooper you never know what your day may bring, but Monday, Oct. 5, 2015, a call in to make a special delivery that brought smiles and joy to everyone involved. West Virginia State Troopers gave stuffed animal bears to children fighting battles against cancer at Women and Children’s Hospital. The bears were provided by Bikers Against Child Abuse. "When you get a chance to give back and really be involved and meet the kids that we get to serve, it's truly an honor," said Evan Osborn, development director. Ellie Washington was one of the children that received a stuffed bear from the troopers. 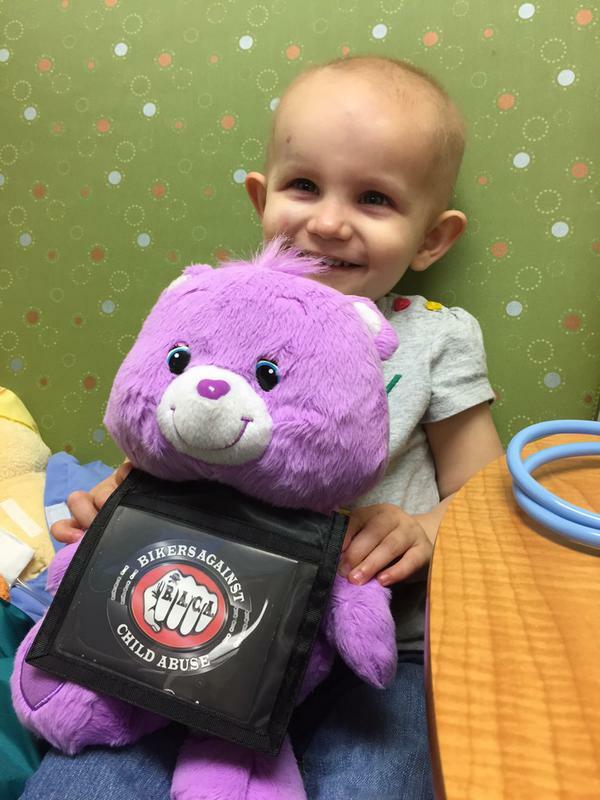 Less than 2 years old, Ellie was diagnosed with cancer in her ear. "One minute your child is perfectly healthy and then the next minute, your world is all about cancer. I mean, all we do is chemo, and making sure everything's clean and keeping everybody well. I mean, your world completely changes. She's worth every minute of it," says her mother, Jessica. 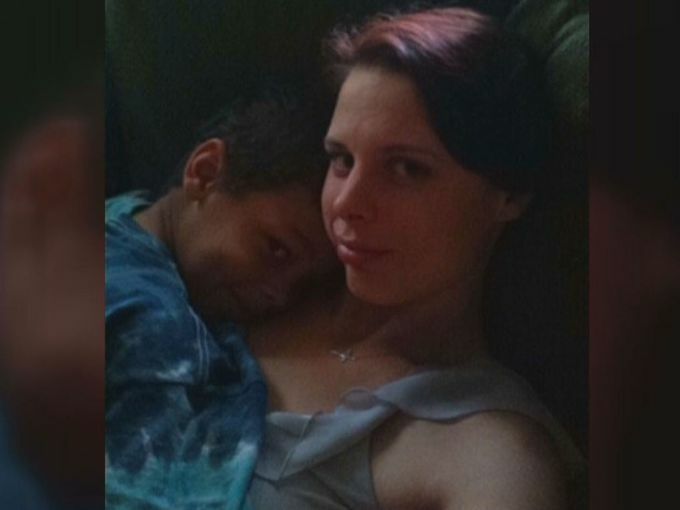 With help from the Ronald McDonald House, she is able to receive treatment in New York. "You come down here and try to be a blessing and you end up receiving the blessing. So wonderful to see these kids and see a smile on their face because you know they're going through some difficult times," says Lt. Michael Baylous. The small act of kindness goes along with what the Ronald McDonald House aims to do. Building love, and bridging hearts, as a bright new future for them begins. The third annual McTrooper 5K is Saturday, Oct. 10, at 9 a.m. and begins at the Frontier Communications Building on MacCorkle Avenue in Kanawha City. 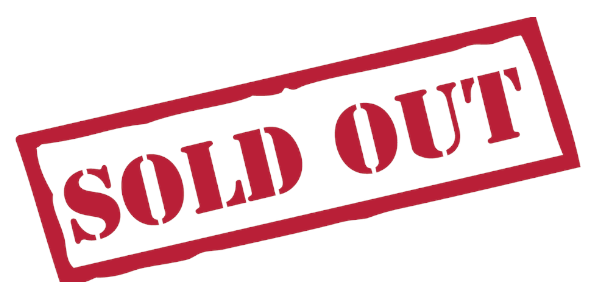 All registration information can be found at Ronald McDonald House Charities. Maryland Trooper Andrew Lee's patrol car was struck while attempting to stop an impaired driver Sunday night. Dillon C. Haneke, 23, of Edgewater, is accused of driving his car into the side of the trooper’s car. Lee was attempting to stop Haneke on the suspicion of impaired driving. Multiple calls from concerned citizens reported a possible impaired driver, stating the driver was weaving through the lanes and driving very slow. Tpr. Lee spotted the reported vehicle and observed it weaving across lanes and driving about 10 mph. The trooper activated his emergency lights and attempted to stop the car, but Haneke refused to acknowledge. Lee then drove to the right side of the vehicle, lowered his window and verbally ordered Haneke to stop, with his emergency lights still activated on his marked police car. The trooper drove ahead of the weaving vehicle, at which timeHaneke struck the driver's side of the trooper's car. While still in contact with the trooper's car, Haneke's car struck the jersey wall and turned onto its side before the Bay Bridge. The patrol car did not overturn, but Tpr. Lee was trapped inside the car. Unharmed, he was able to make his way out. Thankfully, no other vehicles were involved. Lee was transported to the Anne Arundel Medical Center by another trooper as a precaution and after examination he was released. Haneke was not injured. He was arrested and charged withdriving under the influence, assault and reckless endangerment after other troopers on the scene observed multiple signs of impairment. A male passenger in Haneke's car, who was also impaired, was taken to the Anne Arundel County Medical Center by ambulance. Haneke was taken to the Anne Arundel County Central Booking Center for his initial appearance before a court commissioner Sunday night. 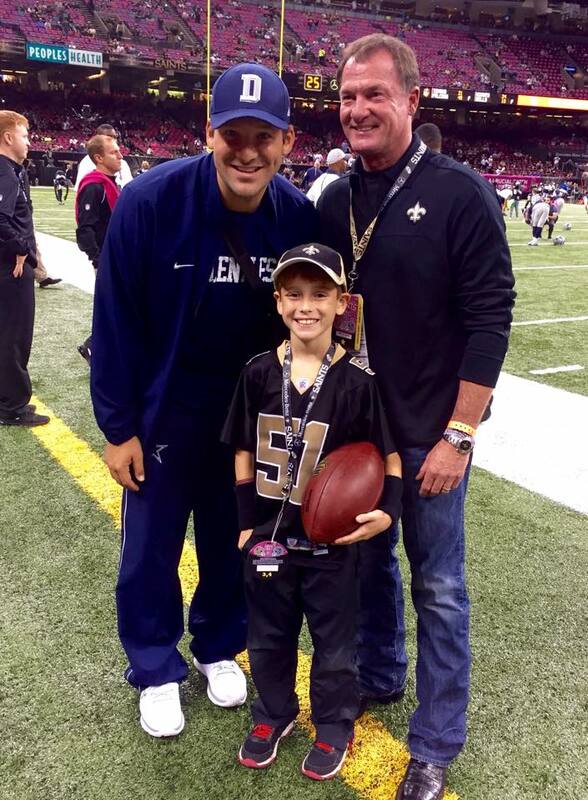 Hats off to the New Orleans Saints! 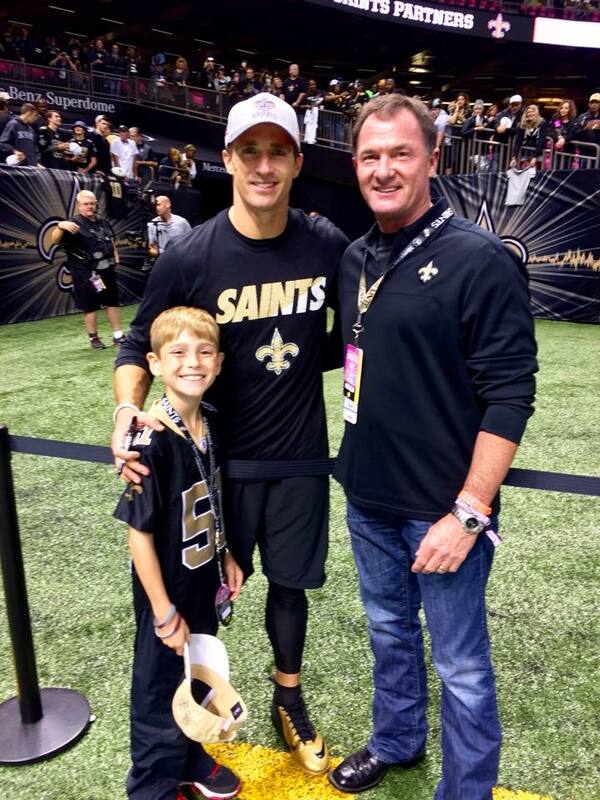 Ethan, the son of slain Louisiana State Police Senior Trooper Vincent, was invited to New Orleans' Sunday Night Football matchup against the Dallas Cowboys. 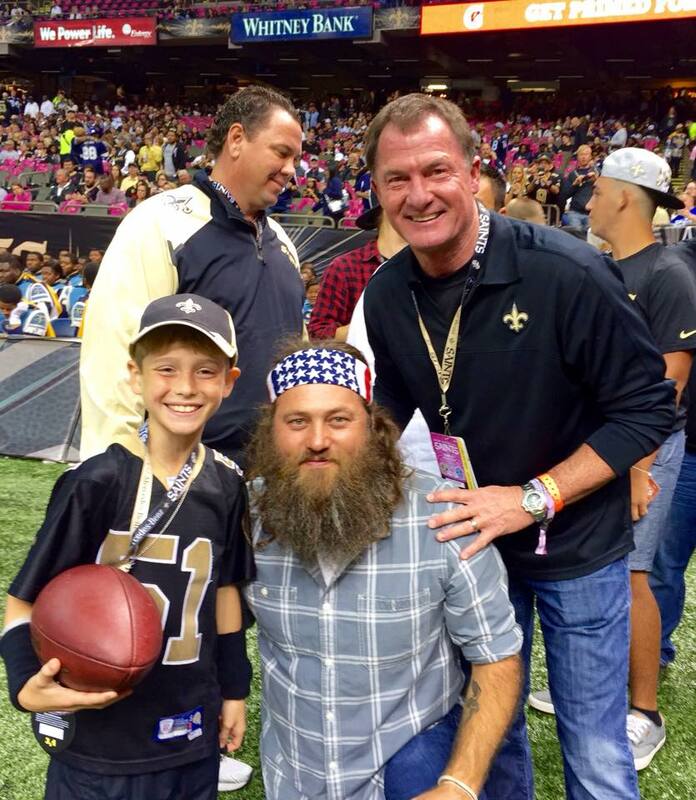 Not only did he get to attend the game, but got the chance to hang out with Sean Payton, Drew Brees, Rob Ryan, Tony Romo and Willie Robertson from Duck Dynasty. Courtesy of Fox Sports. Photos courtesy of Louisiana State Police. 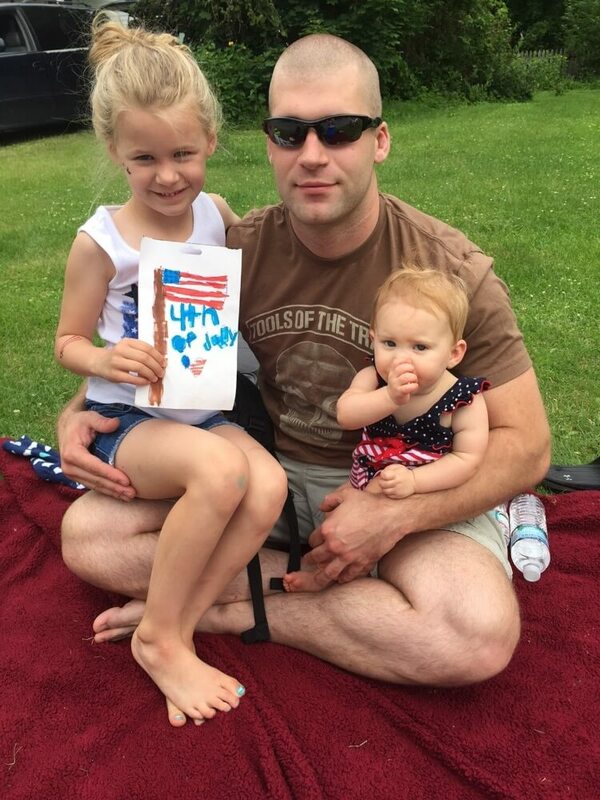 A fundraiser is being held in St. Albans later this month to help the family of a Vermont trooper who died while trying out for a special unit. Trooper Kyle Young died from exertional heat stroke while trying out for the Vermont State Police Tactical Services Team in September, according to authorities. Trooper Young left behind his family, including two young daughters. Young's children will have to grow up without him. Trooper Mike Mattuchio said he never got the pleasure to work alongside Trooper Young, but nevertheless Vermont State Police lost a brother. "We're a close knit family whether we know each other or not, so it touched home regardless," said Mattuchio. Vermont State Police and the 14th Star Brewery are hosting a 5k run, and flag football tournament at the Collins Perley Sports Complex on October 24. To sign up for this event or to learn more, Click here. Proceeds from registrations and beer sales will be given to the Young family. The flag football team that raises the most money will be able to make their own brew. That batch will go to the taproom and sales from it for go to Young's family. Police and the brewery hope to raise $10,000 dollars for the family. stuck from behind by a tractor-trailer. He was released the next morning, but requires follow-up care. 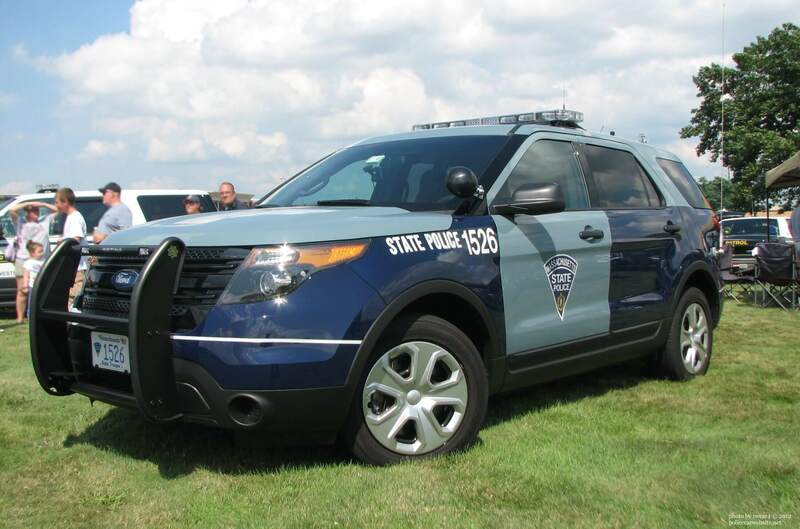 The trooper was working a detail protecting a road crew with his emergency lights activated. The Ford Expedition cruiser was severely damaged, the rear end crushed by the force of impact, from the tractor-trailer. When hit the SUV was pushed from the right lane across three lanes striking guardrail. The tractor-trailer was also suffered severe damage and both vehicles were towed from the site. The offending driver is facing charges of failing to move over for an emergency vehicle and road crew. THP – Tennessee Highway Patrol was on the scene with Knox County Sheriff’s Office investigating and unrelated crash when a drunken driver, operating a Chevy Impala, hit one of the KCSO vehicles. The KCSO vehicle spun into the THP cruiser. The cruiser then struck two deputies standing by a guard rail. The Impala, before coming to a stop facing the wrong direction, struck a third deputy. Trooper Michael Harrell was inside his cruiser when hit. Thankfully, there were no serious injuries. The driver is charged with DUI and multiple other charges.